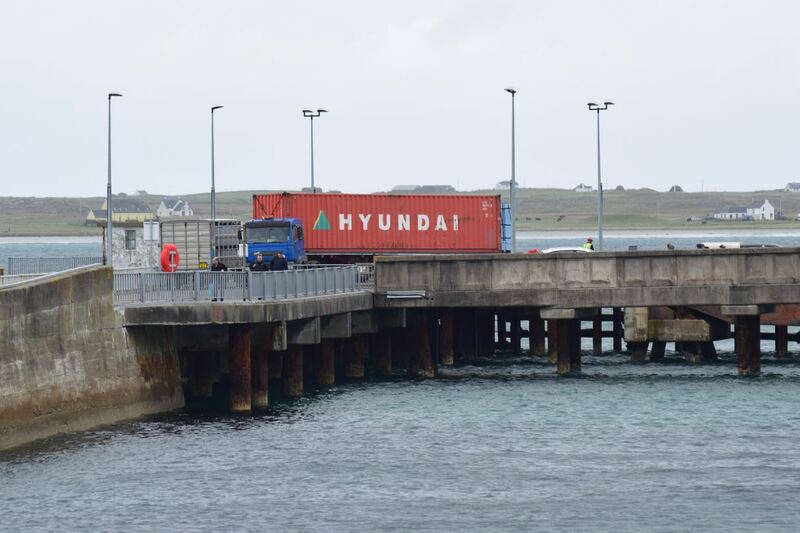 On Friday the MV Clansman was alongside the pier. Her ropes were secured but her ramp was not yet lowered. At this point the morning flight from Glasgow appeared overhead. 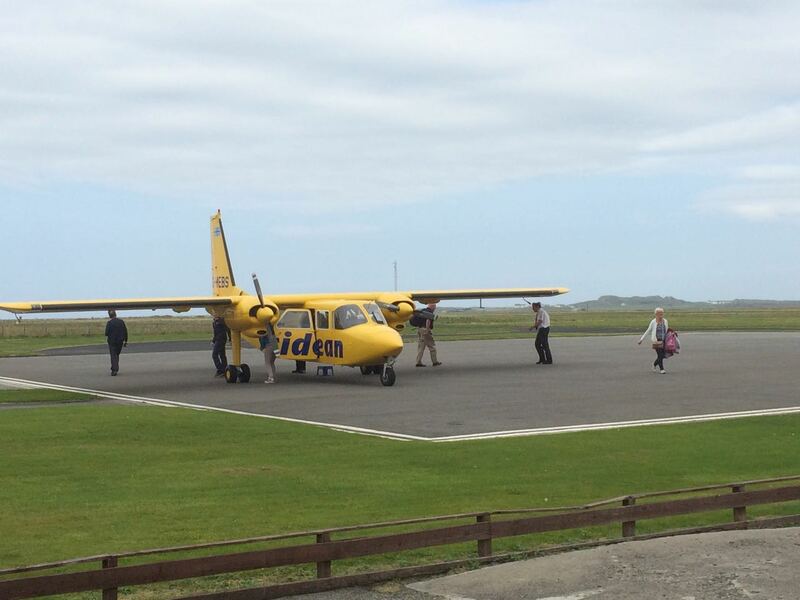 It was a reminder that both ferry and plane are a vital lifeline to the Mainland. Television in all its forms provides a window on the world. Telephone, both fixed line and mobile, enable communication. However the only means of a physical link is either ferry or plane. There is no bridge or tunnel to connect the island to the Scottish mainland. Consequently Tiree is much more dependent on the Mainland. Thankfully there is still both surf and turf. We have our fishermen and crofters. The moment you hope nothing goes wrong on the bridge or the engine room. In fact some days have felt quite wintry. Low cloud and poor visibility can mean plane cancellations. Strong winds and swell conditions can result in ferry cancellations. Little wonder then that on the island there is a great interest in the weather. 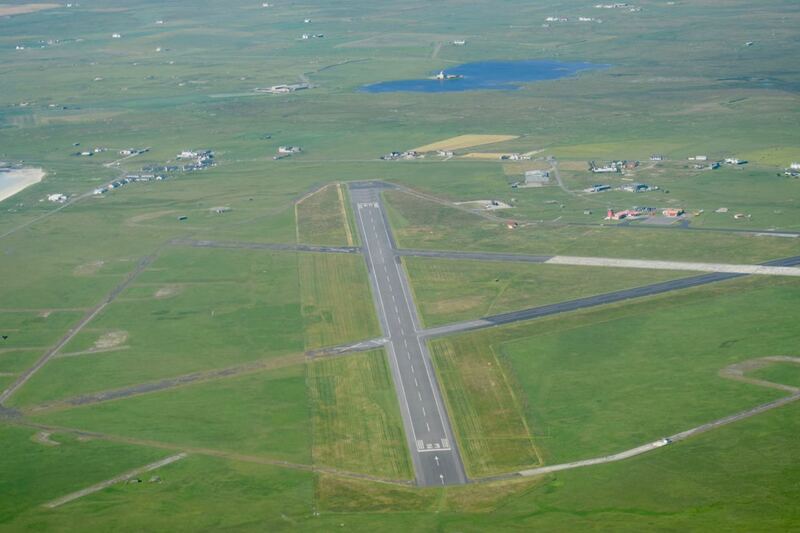 At the Airport Tiree is known as ‘Amazon Island’. Both ferry and plane serve the local couriers including Royal Mail. 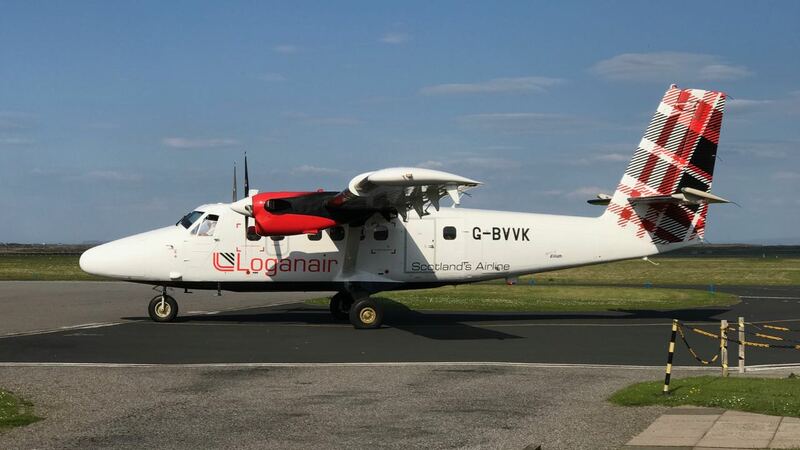 Newspapers and most of the mail arrives and departs by Loganair plane. 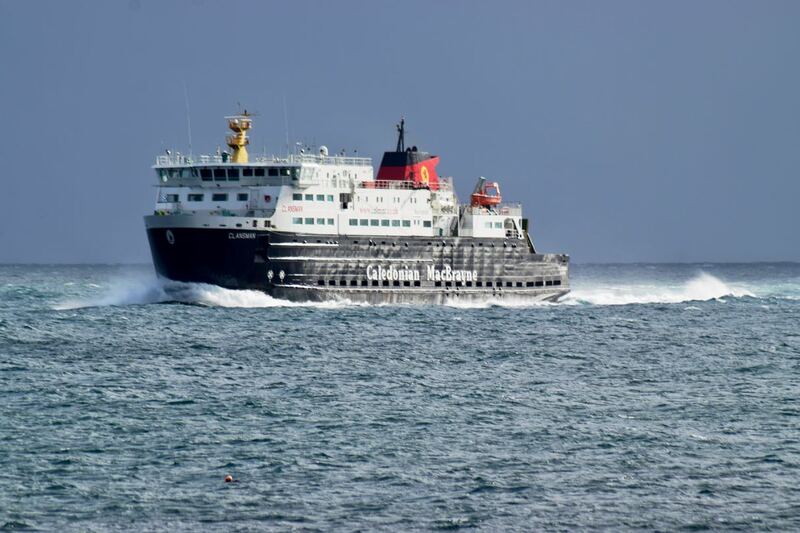 In the winter months travel by ferry to Tiree means an overnight stay in Oban. A ferry cancellation can mean an additional overnight stay at least. In poor visibility the plane can be delayed at Glasgow. Sometimes this results in an overnight stay. 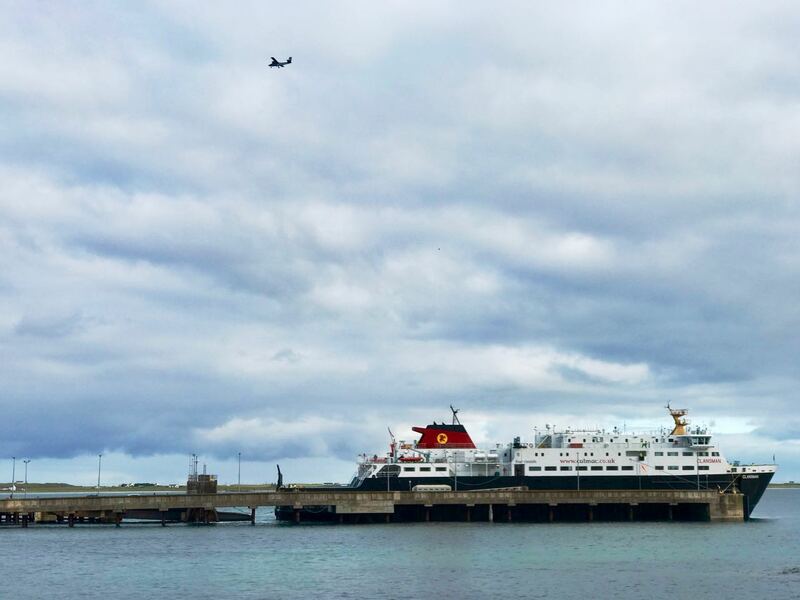 The ferry and plane are lifelines for the community. As provided at present they are not viable without support. So both the the air service and ferry provision are referred to as lifeline services. As well as the daily service to Glasgow, there is a twice weekly flight to Oban. The major benefit of this is access to the local hospital in Oban. At present this provision is being reviewed by the council. 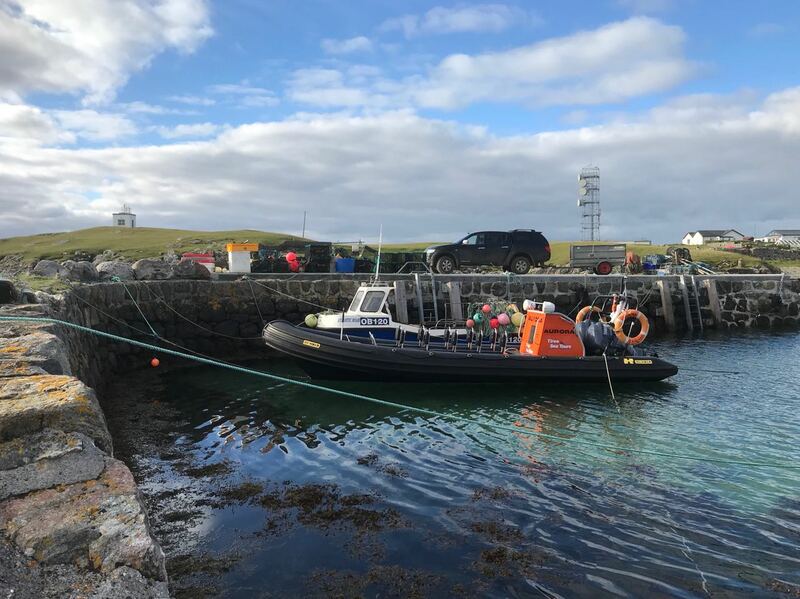 This year witnessed the launch of Tiree Sea Tours. 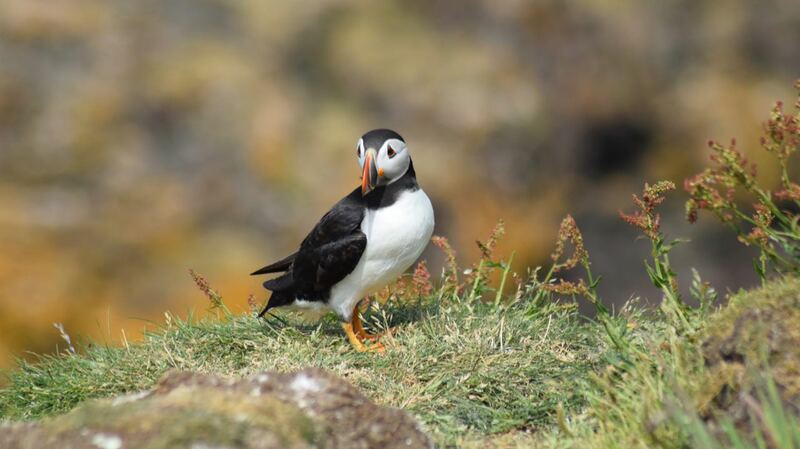 One highlight was the tour to Lunga to see the puffins. And there have been frequent tours to observe the rich marine life. 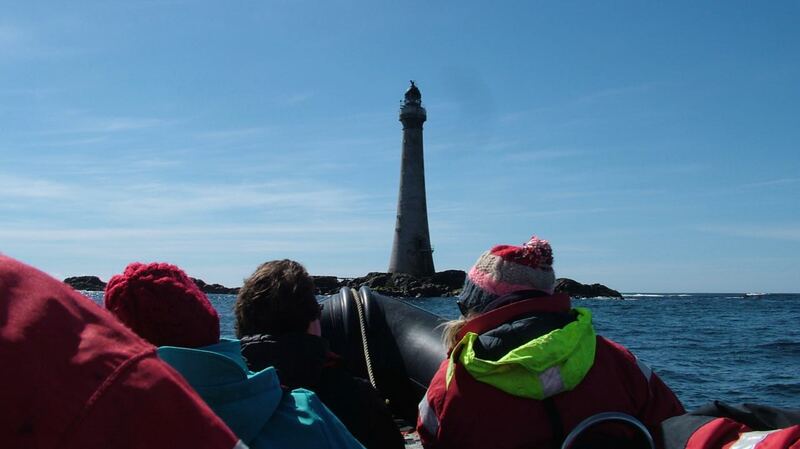 Another exciting tour was to Hynish and on to Skerryvore Lighthouse. There have also been tours to Fingal’s Cave, Staffa and the historic island of Iona. 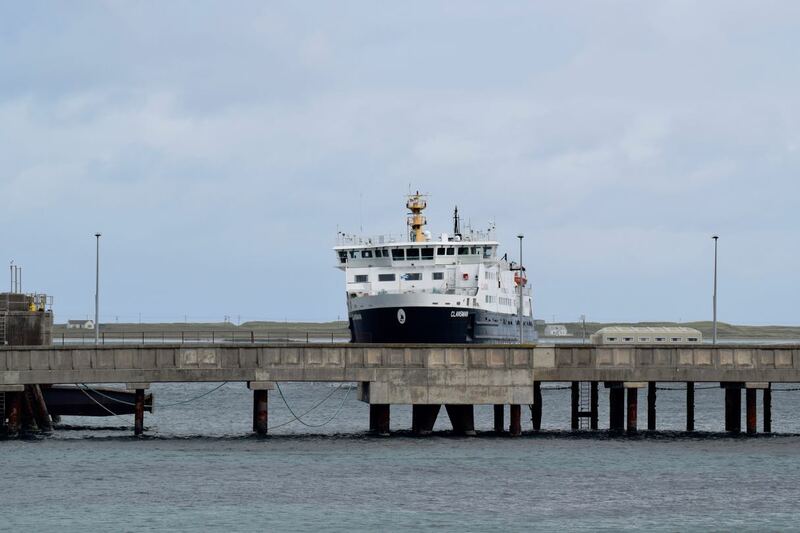 Tiree Sea Tours have made it possible to sail from Tiree and enjoy dinner at the hotel on the Isle of Coll. 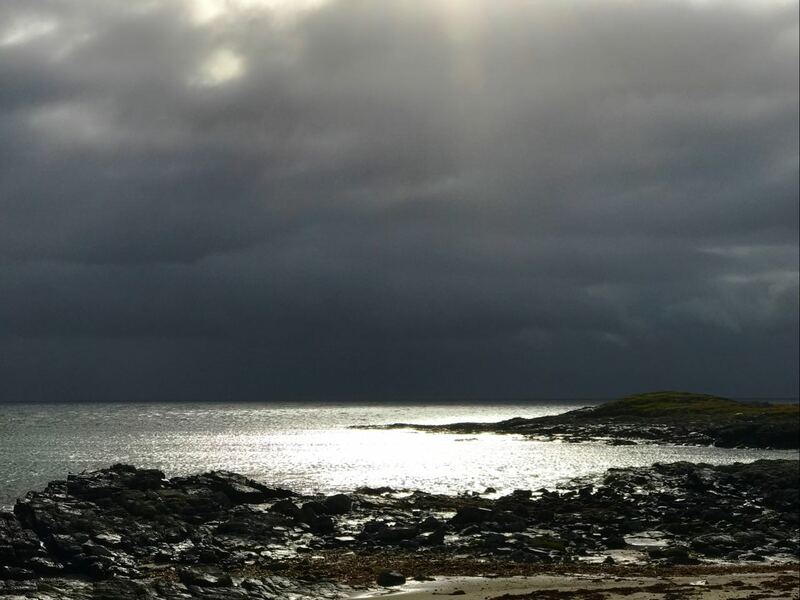 This is ‘Life-on-Tiree’ on a wintry autumn day. Thankful for lifeline services and this year’s new sea (ad)ventures.